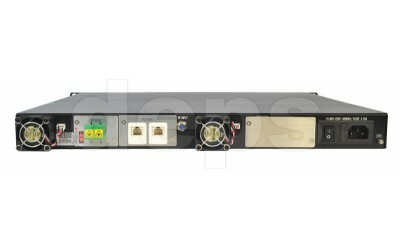 The reliable, low-noise optical transmitter with the range 1550 nm with the external modulation of optical power. It is made with applying of latest DFB lasers (Distributed Feedback Laser - laser with distributed feedback on the injection laser diode with reflection Bragg grating) providing good nonlinear indicators. 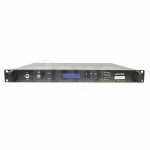 Automatic control of amplification at the RF input provides the additional stability in work. It is simple in servicing and controlling. Embedded microprocessor provides convenience in controlling, and display shows all set parameters. The remote control thought embedded RS485 interface is possible. Good operational data and acceptable cost allow to use this model in the cable television network of any complexity. * - at 60 channels PAL, the length of the optical line is 65 km, the input level on the test receiver 0 dBm, there is no more than one amplifier in the line. 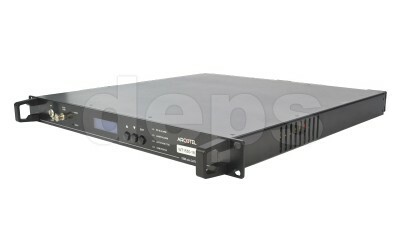 ** - for output А, for output В - 63 dB.